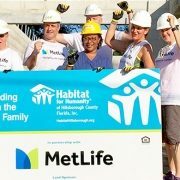 As of July 14th, Habitat for Humanity of Hillsborough County’s Initial Application process for homeownership opportunities will be available on an ongoing basis without date restrictions to submit. This Initial Application form is meant to help determine if the Habitat for Humanity homeownership program might be a good fit for individual households. It is the first step in the process of applying for a home and is not a final application for homeownership. There are two ap plications, one for the general public and one for veterans in conjunction with our Habitat Hillsborough Veterans Initiative. 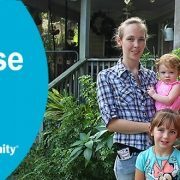 To be eligible for Habitat Hillsborough’s homeownership program, you must have lived OR worked in Hillsborough County for the last 12 consecutive months. (It can be one or the other or both.) Steady, verifiable income from a job OR other sources is also required. This can also include disability pay or retirement pay. 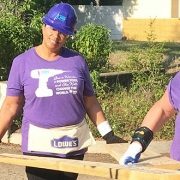 PLEASE NOTE: Habitat for Humanity of Hillsborough County will focus construction efforts in East Tampa, the University Area, Plant City and Wimauma between 2018 and much of 2019. Home sites will be limited to those areas.